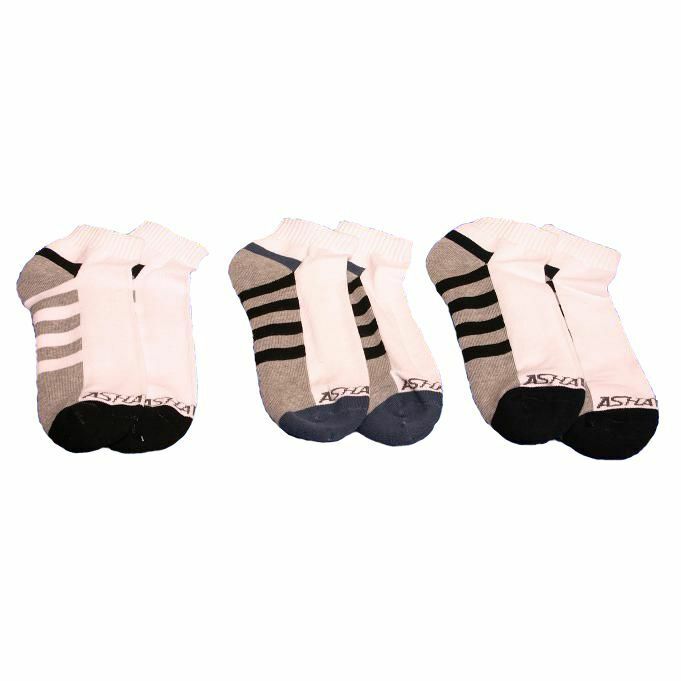 The Ashaway ankle socks have been designed for enthusiasts of racket sports to provide them with a product that combines top quality and comfort. The socks offer great absorption to make players feel convenient. Their stylish design will provide the player with fashionable look during a game. The Ashaway Ankle socks are sold in packs of 3 and fit 4-10 shoe size. for submitting product information about Ashaway Ankle Socks We aim to answer all questions within 2-3 days. for submitting product information about Ashaway Ankle Socks. We aim to answer all questions within 2-3 days. If you provided your name and email address, we will email you as soon as the answer is published. for submitting product review about Ashaway Ankle Socks.